The DSM (Diagnostic and Statistical Manual of Mental Disorders) is the mental illness classification developed by the American Psychiatric Association (APA). This “mental disorders” catalog establishes the difference between normal and pathological, it defines the terms and the criteria and it has been imposed worldwide, since the 80’s, as the unique reference, the Bible of mental disorders. Its first version, from 1952, listed 108 different categories of mental illnesses. The current version, DSM-IV-TR, has 410. The next milling in preparation (DSM-V), partially unveiled, will include dozens of additional categories. Its publication is expected in 2013. 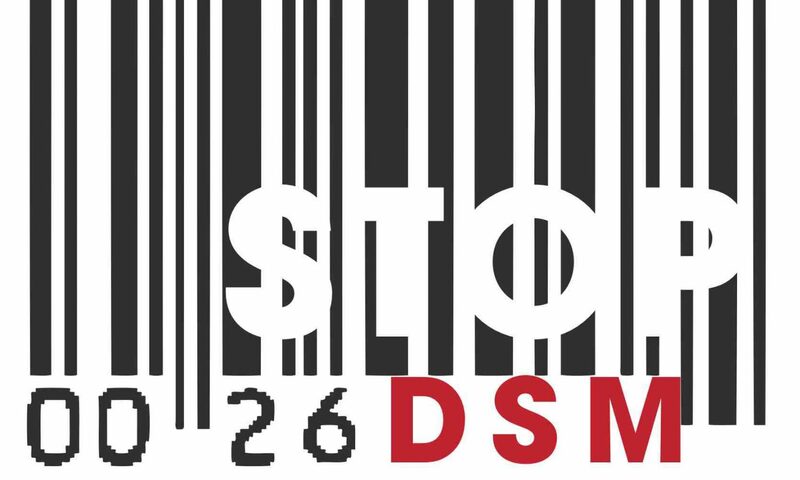 The committee that oversees the DSM-V development is composed by 28 psychiatrists, 16 of which have strong financial binds with the pharmaceutical industry. It is interesting to know that 95 out of 170 experts who worked on the DSM-IV confection in 1994, at the time that they announced their votes for the inclusion of “new disorders”, they had financial binds with many pharmaceutical companies. “Financial Ties between DSM-IV Panel Members and the Pharmaceutical Industry” Lisa Cosgrovea, Sheldon Krimsky, Manisha Vijayaraghavana, Lisa Schneidera. Psychotherapy and Psychosomatics, 2006; 75: 154-160 (vol. 3, april 2006).